Milwaukee-area companies raised more than $25 million in venture capital last year, down from a spike in 2016, according to data released from the PitchBook-NVCA Venture Monitor. The $25 million was raised by 16 companies and 10 investors. In 2016, $44.57 million was raised by 15 companies. The biggest deal of that year — $26.36 million raised by Promentis Pharmaceuticals — drove the total. The next largest was $3.45 million raised by Patina Solutions. 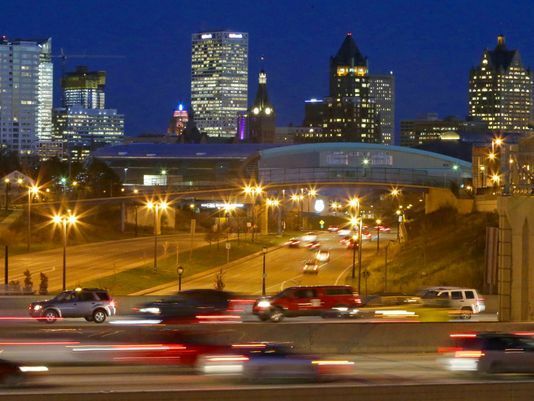 The 2017 total puts Milwaukee well behind the Minneapolis-St. Paul area’s $487 million in 78 deals. Chicagoland raised more than $1.83 billion in venture capital. Nationally, $84 billion was invested by the venture capital industry into 8,035 deals, according to the PitchBook-NVCA Venture Monitor. That’s the highest amount of capital invested into the entrepreneurial ecosystem since the early 2000s. While more capital was raised, the number of deals decreased, so each deal was worth more money. Gabbert said technologies like virtual reality, augmented reality, artificial intelligence, financial technologies and the internet of things are game-changing. Here are the five largest venture capital deals in the Milwaukee area in 2017, according to data released from the PitchBook-NVCA Venture Monitor. Montage, a Dealfield-based video and voice interviewing technology company, raised $8.24 million in 2017. Investors in the deal included Baird Capital, Beringea, Gary Comer and Plymouth Growth Partners. The company also snagged a deal to partner with global human relations provider Randstad Holding NV. Montage has about 80 employees. Access HealthNet raised $4.75 million. The Wisconsin Super Angel Fund and BrightStar Wisconsin Foundation both invested in the round. The Milwaukee-based startup provides a service to help people find low-cost medical care in a bundle that’s layered over an employer’s existing health plan. EmOpti, a startup with technology designed to reduce emergency room wait times, raised $4.52 million. EmOpti’s technology is used in Aurora Health Care emergency rooms. Wauwatosa startup TAI Diagnostics raised $1.77 million. The Golden Angel Investors led the investment round. In 2015, TAI Diagnostics raised $8.2 million — the highest for a Milwaukee-area company that year. TAI Diagnostics has a blood test for determining if a heart transplant is in danger of rejection. Stonhouse Water Technologies raised $1.55 million. Angel investor Mark Sellers led the round. The Milwaukee startup has a water purification system that will be launched commercially in the spring. The WaterPOD 8 will be sold to three main markets: private wells, new home construction and agriculture.